Rowie Webster is an Australian water polo centre back. She has attended Korowa Anglican Girls’ School and Arizona State University. As youngster, she played Australian rules football and was involved with surf lifesaving. She started playing water polo as a ten-year-old. She has played for the Richmond Tigers, the Victorian State team, Arizona State University and a professional side in Greece. 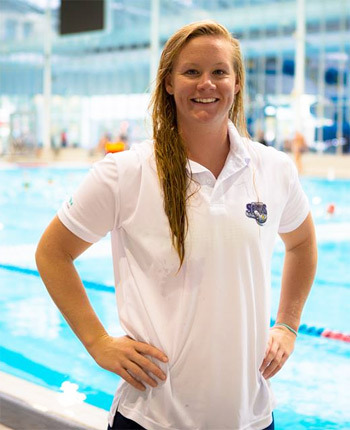 She has represented Australia as a member of Australian women’s national water polo team on both the junior and senior level. She has earned gold medals at the 2011 Canada Cup, and the 2007 FINA Junior World Championships. She earned a silver medal at the 2010 FINA World League Super Finals. She earned bronze medals at the 2010 FINA Women’s Water Polo World Cup and the 2009 FINA World League Super Finals. She is one of seventeen players fighting for thirteen spots to represent the country at the 2012 Summer Olympics in water polo. Her grandfather was Warwick Wathen, who competed at the Davis Cup as a junior. Her mother is a physiotherapist. She has a sister who also plays water polo. Webster is 177 cm (5 ft 10 in) tall, weighs 81 kilograms (179 lb) and is right handed. She has two tattoos: “One life no regrets” & a compass of the latitude and longitude of Melbourne and Anglesea”. Webster started playing water polo as a ten-year-old and more seriously as a twelve-year-old in Melbourne, Australia acting as a fill in for her older sister’s team at that age. In 2010 and 2011, she had a water polo scholarship from the Victorian Institute of Sport. She prefers to wear cap number seven and is a utility player who can be found in the centre back position. She has scars on her back from opposition players biting her there during games. She feels a need to wear a mouth guard during every game she plays. Her water polo club is the Richmond Tigers. In 2003, she played for the club at State League Level 1, the highest ability league open to players of all ages. She first represented the state of Victoria in 2000. In 2003, she was Victorian team captain. In 2003, she woke up at “4.40 am twice a week for training and swimming three afternoons a week”. In 2005, she was putting in “three gym sessions, three swimming drills, and six rounds of water polo practice” a week. That year, she represented the state of Victoria at the Australian Water Polo Championships. She also represented the state in 2005 at the National Schoolgirls Water Polo Competition held Noosa, Queensland. Webster played for the Victorian Tigers of the National Water Polo League in 2004 during the team’s first year of existence. She also played for the team in 2005, 2007,2009, 2010, 2011 and 2012. Webster attended Arizona State in Tempe, Arizona on a water polo scholarship when she was an eighteen-year-old but only spent a year with the team. Professional water polo As a nineteen-year-old, Webster played for a professional team in Greece for five months in 2008. While playing in Greece, she had to deal with a culture of water polo that tolerated biting of other players during games. She left Greece to concentrate on making Australia’s national team for the Olympics. Webster has represented Australia on the junior national level. In 2003, she was chosen for the Youth Olympic Composite Team. In 2004, she was a member of Australia’s U17 team that played matches against the United States and New Zealand. In 2005, she was chosen as a member of Australia’s U20 national team and played with the team during a 20-day tour of Italy, Greece and Spain. She was a member of the junior national side at the 2007 FINA U20 World Championships in Porto, Portugal that took home gold after going undefeated in the tournament. 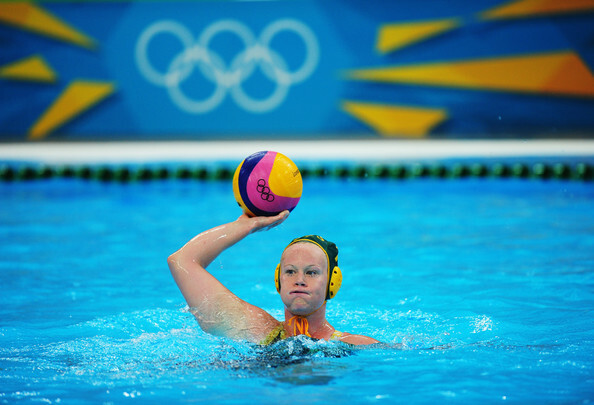 Webster is a member of the Australia women’s national water polo team. She was a member of the team that earned a bronze at the 2009 FINA World League Super Finals in Kirishi, Russia. In 2009, she was a member of a team that competed at the FINA World Championships. She played in the semi-finals game against New Zealand that Australia won 14–4. In the game, she scored three goals. Her team finished sixth overall. In 2010, she was a member of the national team that competed in the preliminary rounds of the FINA World League in Japan from 21–23 May and in China from 26–28 May. In May 2010, she was a member of the team that competed at the FINA World League Asia-Oceania zone held in Osaka, Japan and Tianjin, China. In the FINA World League Super Finals in La Jolla, California in 2010, her team earned a silver medal.